When you truly think about your bathroom and the things inside of it, you have to admit that the toilet is the most important part of it. There are bathrooms that do not have a tub or a shower, there are bathrooms that may not have a sink, but without a toilet, it simply is not a bathroom. This proves that the toilet does truly matter. Kohler understands and works to give bathrooms a toilet that is worthy. They say the Cimarron Comfort Height is ideal, but what do current owners have to say? 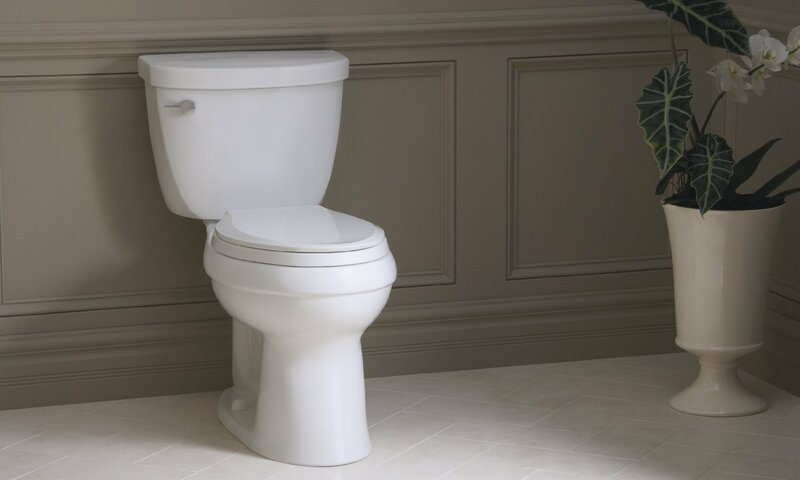 Read our Kohler Cimarron Comfort Height toilet review to find out. 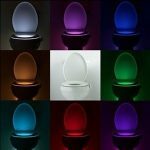 One of the first things you will notice about this toilet is the variety of colors and the price. There are five available colors including; almond, white, biscuit, sandbar, and ice gray. 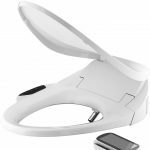 This should make decorating around it easier for you, and it is perhaps one of the lowest priced toilets on the market today. It has a compact elongated bowl that allows you to sit at a normal chair height. This makes it ideal for people with disabilities that cause them trouble when standing up from a seated position because its seat position is at approximately 18 inches high. 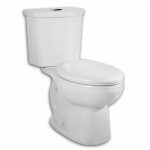 The fact that it is a compact elongated, means that it can fit into the same space as a traditional round style toilet bowl. Can you imagine having an elongated bowl regardless of the size of your bathroom’s floor space? Kohler proves that more room and comfort on the throne can be possible, even in a ﻿small﻿ bathroom. Inside this toilet, you will find an AquaPiston canister, which will allow water to flow into the bowl from all sides. This means you get an effective, powerful flush every time. It also ensures that you can spend less time cleaning your toilet. 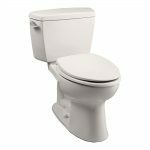 The Cimarron Comfort Height toilet also has 90% less exposed seal material to give it added durability. 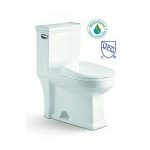 The inner 3-inch flapper seal gives you leak-free performance for many years, so that when you purchase this toilet, you know you are not going to have to make another investment in a toilet. 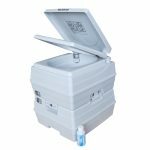 It is also a low flow toilet, meaning that you do not use unnecessary water. It uses only 1.28 gallons of water per flush. 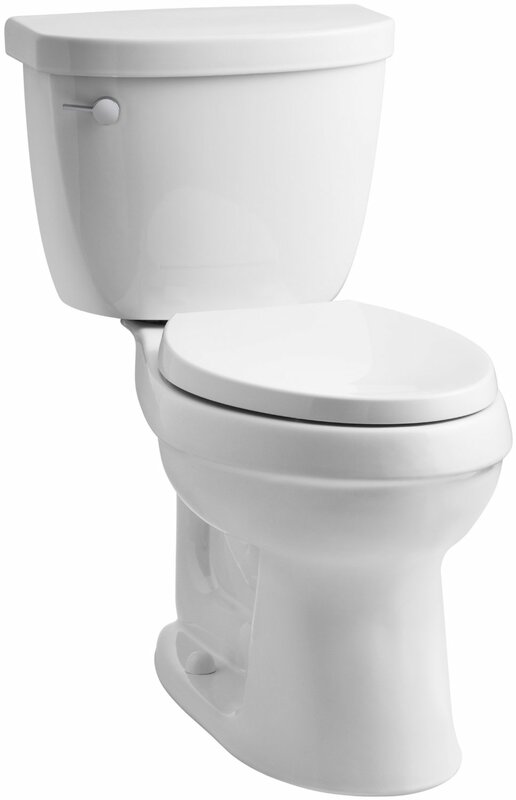 Other toilets may use as much as 3 gallons of water. Which do you prefer? This toilet has a 4.2-star rating. Some say that it is a somewhat quiet toilet that flushes out quickly, like the Santa Rosa toilet. They say that the toilet does not clog often. However, some people say that to get it to flush out effectively, you need to be prepared to flush twice. There are a couple people who state that it is a dual flushing system. If you simply push the handle and let it go, you will get a short flush, but if you hold it down, the flush will last longer and flushing will be more effective. However, you must remember this is one of the most affordable options. The negative reviews are mostly due to shipping damage and leaks around the toilet’s base. 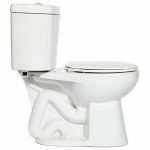 However, shipping damage is not a fault with the toilet and leaks could be caused by the way the toilet is installed. One reviewer even states that the leaks were because of an issue with their home's plumbing instead of the toilet. Is the Cimarron by Kohler Worth It? 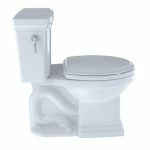 This toilet is not a perfect toilet for everyone, but if you want a comfortable toilet that is very user-friendly and will not clog every time you flush a little extra toilet paper, this toilet could be perfect for you. It Is comfortable enough for disabled people and large enough to give you a comfortable seat, without being too large for the average bathroom space. 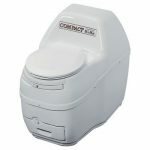 It is also one of the most affordable toilets on the market. 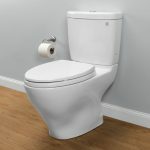 This means you can trade out that old toilet in your home with something that may be able to flush more effectively. For this reason, we consider it well worth trying out.